The book presents diverse perspectives from different disciplines with coherence and an admirable focus on federalism. It adequately explains why federalism needs to be re-examined and be a subject of fresh scholarship. The book comprises of an impressive collection of articles. These articles address all dimensions of federalism and make a good addition to literature on federalism. 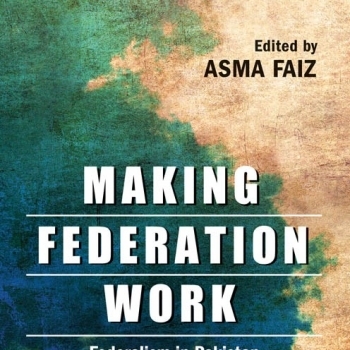 It is a good addition not only to the academic field of Pakistani politics, but in the literature of the popular field of federalism in general. The 18th Amendment itself is a landmark event in the constitutional history of Pakistan. This event has been analysed in the different chapters of the book from different angles. Historical, political, economic, sociological, and environmental factors associated with this unique federal experiment have been thoroughly analysed by a galaxy of learned scholars. Moreover, it provides a rare opportunity of giving a platform for the works of eminent scholars. The book will not only introduce students to the burning issues of Pakistani politics but will also be useful to policymakers, practitioners, and researchers for their future endeavours.